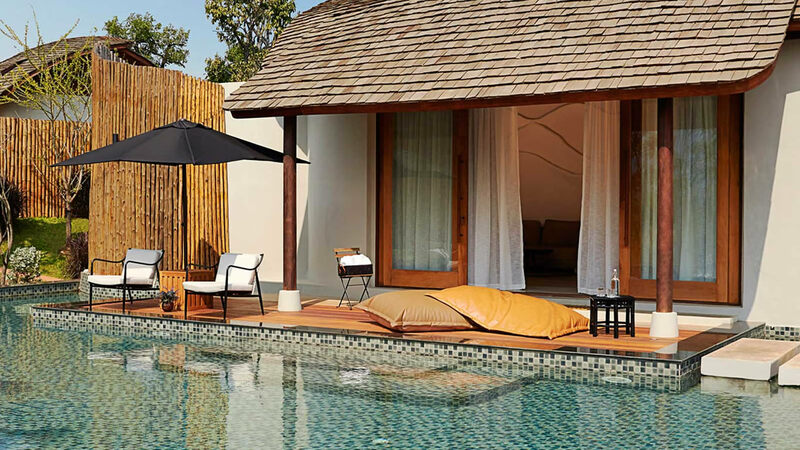 where sophisticated services meet elegant luxury surrounded by breathtaking natural Thai splendour. Far from the maddening crowd in an area known for its stunning rural landscape, friendly climate and rejuvenating fresh air. Lose yourself in the pristine green scenery and indulge in the slow-life pleasure of the great outdoors just two hours’ drive from the hectic centre of Bangkok. Khao Yai National Park covers 4 provinces in the Eastern part of Thailand and contains 2,1655.55 sq.km of forested land watched over by the Panom Dongrak mountain range. The region the source of several major rivers and also home to a great diversity of flora and fauna. The UNESCO World Heritage Committee selected Khao Yai National Park as a Natural World Heritage site in 2005. The 2-bedroom Signature Suite is specially elevated so that the guests enjoy constant panoramic views of the spectacular Khao Yai countryside. The suite opens onto its own generous 10-metre private pool with Jacuzzi for the ultimate exclusive escape. 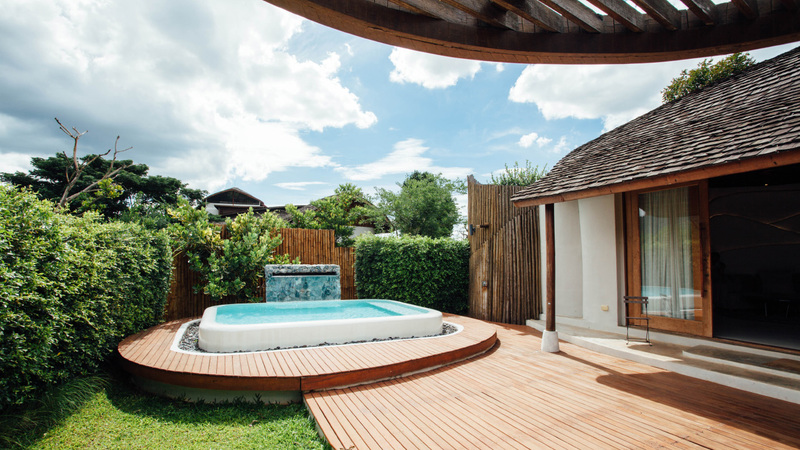 The Luxe Suite is actually a one-bedroom villa with a supremely comfortable oversized bed, generous private in and outdoor living spaces, an inviting private pool and a custom designed swing to take in the splendid surroundings. The BORIBOT suite offers an exclusive private living space with a comfortable bedroom, a separate living room and pantry. 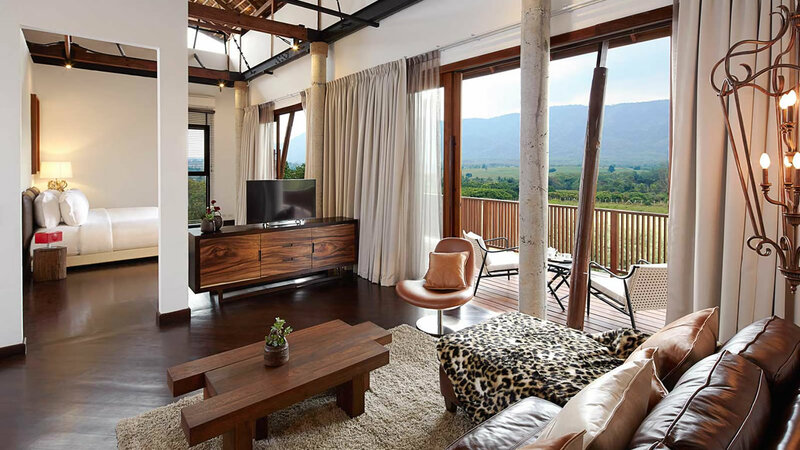 The interiors exude contemporary chic with a furnished balcony poised to take in the majestic Khao Yai mountainscape. This exquisitely furnished one-bedroom accommodation right next to the resort’s main pool is ideal for an intimate luxury stay and offers a comfortable oversized king bed and an original design scheme inspired by the natural landscapes of Khao Yai. Need to call us, sure! For over the phone bookings, hotel enquiries. You can also contact us directly via email support. Want to pop by why not!